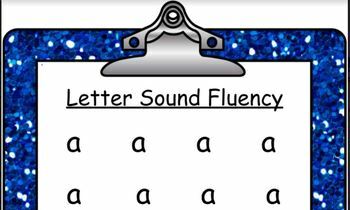 Letter Sound Fluency Sound /a/ Read Along with Me! This is for those students who need additional support at home! Perhaps your English Language Learners don’t have an adult at home that speaks English. This happens in my school. These students need extra practice and someone to help them! This video provides a teacher voice in their home. What is Letter Sound /a/ Read Along with Me! ? This video is a 1 page of the letter sound /a/ with audio of a teacher pointing and reading aloud the letter sounds. ● Use whole class projected on smart board or other means. Read with children as an echo with teacher or chorally with teacher. ● Use the QR codes to add this to Ipads or Chrome or other device for a student learning center. ● Use the attached parent sheet to send home QR codes. Cut up QR codes and attach to Printed PDF File. This purchase is a single license intended to be used for a single classroom. If colleagues are loving this too... please share with them my TPT site, Read Along With Me!